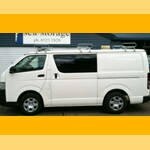 At Gawler Car & Truck Rentals we have a large fleet from which you can choose the ideal vehicle to suit your requirements, wether it be for domestic use or moving house. 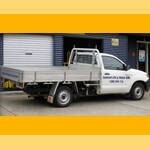 Hire a ute with a custom-built cage for small moving jobs, or that big move, one of our furniture trucks would be ideal. We not only do we supply hiring of vehicles to do the job, but also specialize in storage solutions.